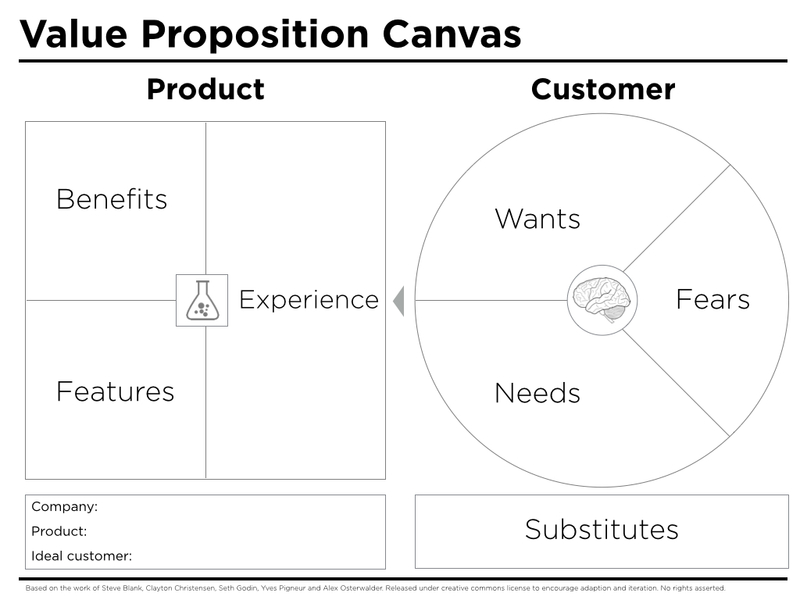 The improved value proposition canvas adds elements from behavioural psychology and design thinking. I don’t agree with the concept that this is improved. This is what leads to bad solutions in B2B all the time. Fears while worthy of consideration and can reside in the pains, should not replace knowledge and understanding of the job to be done and the critical success factors for any solution to meet in the outcome.